Greetings from Lecco, Italy! 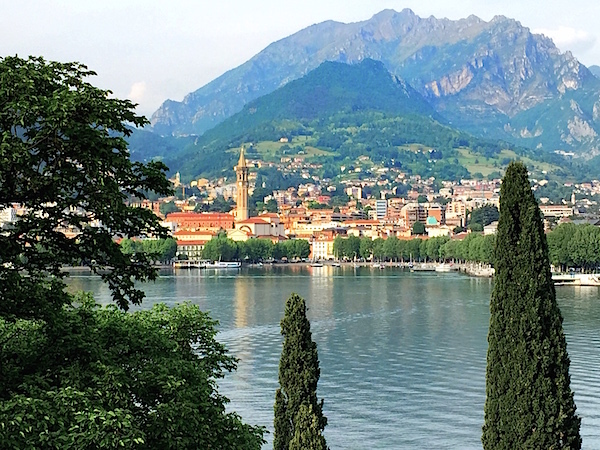 This charming town on the shores of beautiful Lake Como is where Susanna and I are calling home for the next few days. We were invited over by the luxurious Italian furniture brand Promemoria to capture their world of exquisite handmade products and creative innovation of owner and designer Romeo Sozzi. 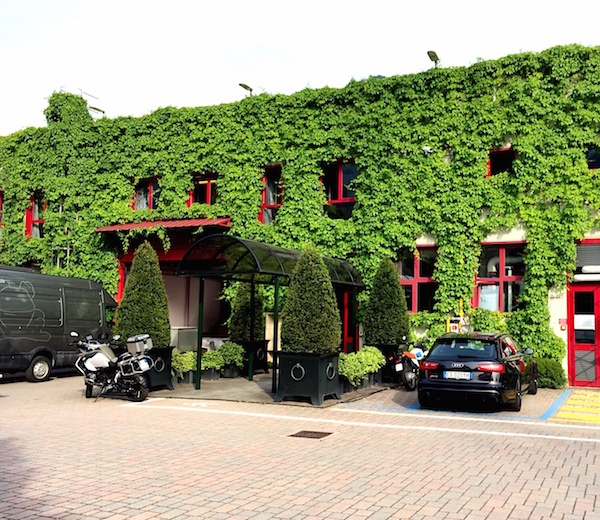 From their impressive factory/workshop, below, in nearby Valmadrera, to Romeo’s lakeside villa, which we are visiting tomorrow, to his home and office in Milan, we can’t wait to share the inspiring story of this amazing company. In the menatime, we are soaking up as much of the local Italian life as we can. 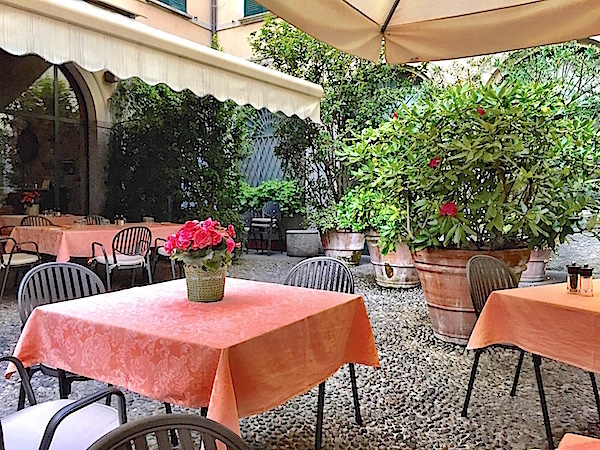 Our dinner this evening was al fresco at a delightful local trattoria. While I am here, posting may be spotty but you can follow the Q along on Instagram! Ciao for now! This entry posted in design, furniture, interior design, travel. Entry Tags: Designer furniture, Italy, Lake Como, Lecco, Promemoria, Travel Bookmark the permalink. Green with envy! Looking forward to lots of photos! Have been enjoying your instagram photos and will look forward to reading the rest. Enjoy! Fantastico! If you head to Torino, let me know, I will set up a tour for you. Buon viaggio! How wonderful I can’t wait to see all your photos! Stacey — What a great gig in a such a gorgeous part of the world, I can’t wait to read more about this company and culture. It looks beautiful! Have a wonderful time! 80 queries in 0.604 seconds.